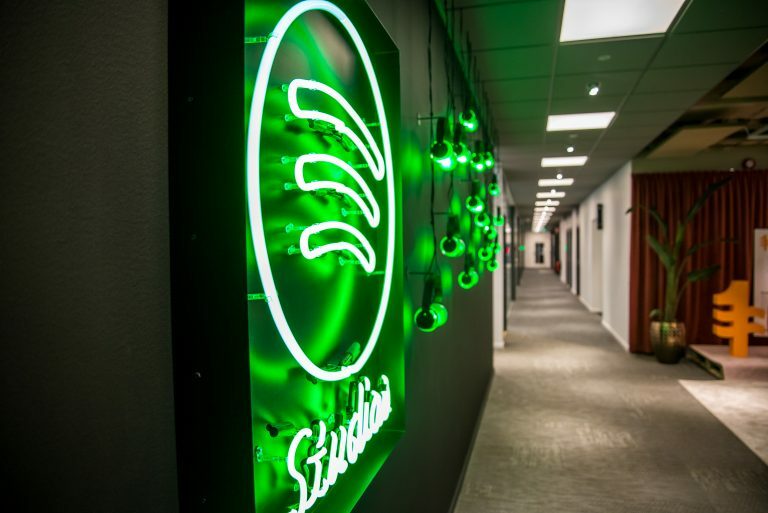 Welcome to Spotify’s Stockholm HQ, where music greets you right at the front door. 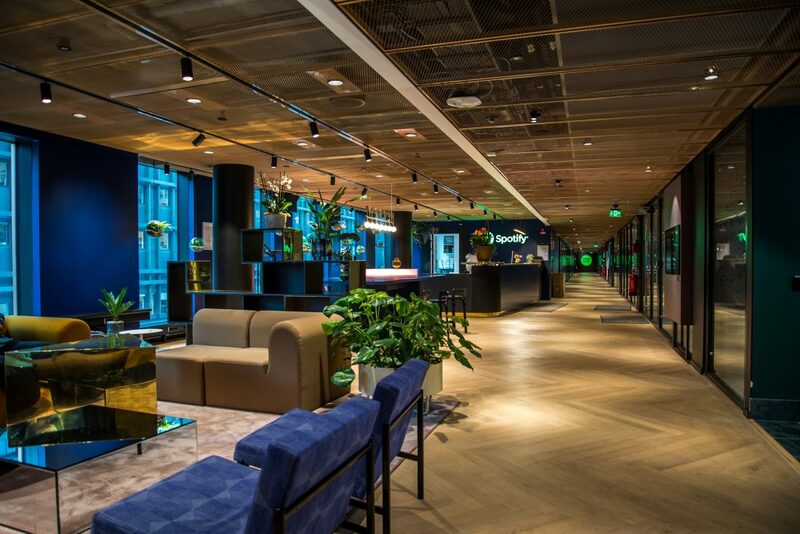 We designed our new office to be an inviting retreat in the heart of central Stockholm’s Urban Escape, a city block dedicated to innovation and emblematic of an ever-changing Stockholm. 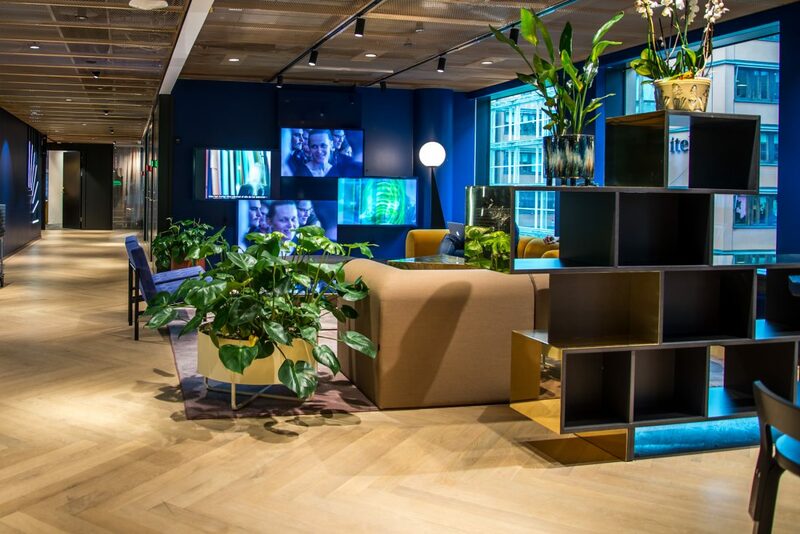 Like Spotify’s New York office, nothing in Stockholm is too trendy; Instead, we’ve embraced simple elements of Scandinavian tradition—including nature—which place focus on people and productivity. Its spaces are sleek, modern, and welcoming for visitors and Spotifiers alike. 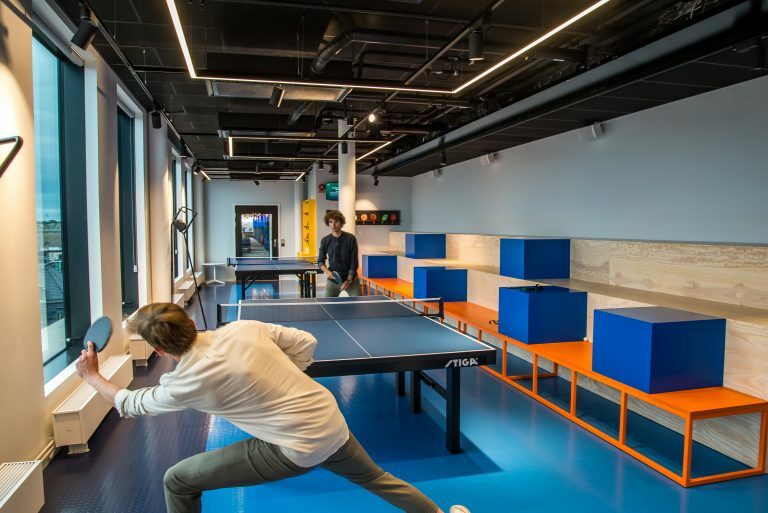 From meetings and presentations to ping-pong tournaments and artist studio sessions, there’s plenty of room for all who enter to create, collaborate, and inspire. Ready for a tour? Just follow the sounds of your favorite Spotify playlists (the music streams all day long). There’s no shortage of new ideas to develop, so clean lines, comfortable spaces, and an abundance of color help motivate—and offer down time when needed. 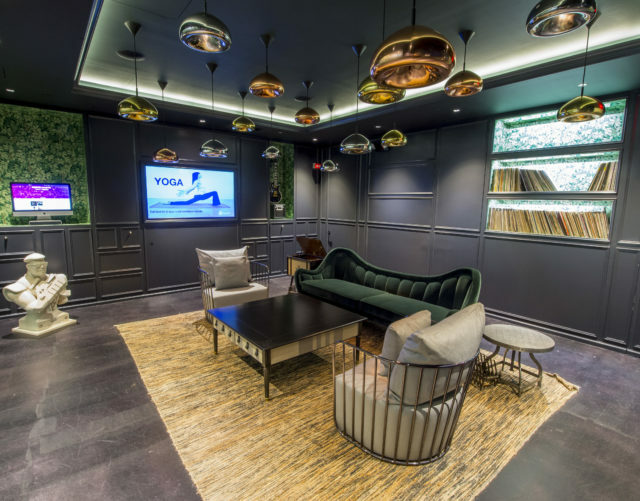 This philosophy first takes shape in our cozy reception area, which makes a gracious first impression with natural hues, suede couches, and green plants. 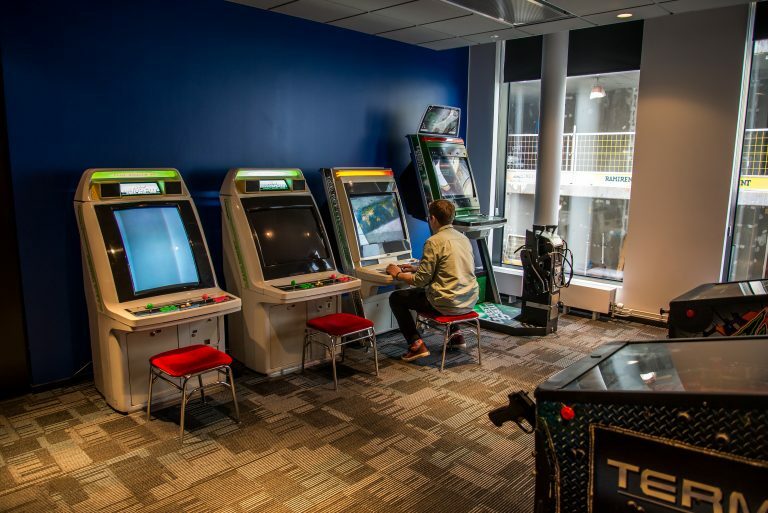 Just down the hall, it’s down to business in our conference rooms, named for popular playlists like RapCaviar, Deep Focus, and Rock This. The Guilty Pleasures room was created by Swedish designer Bea Szenfeld, known for her incredible experiments with paper and other atypical mediums. 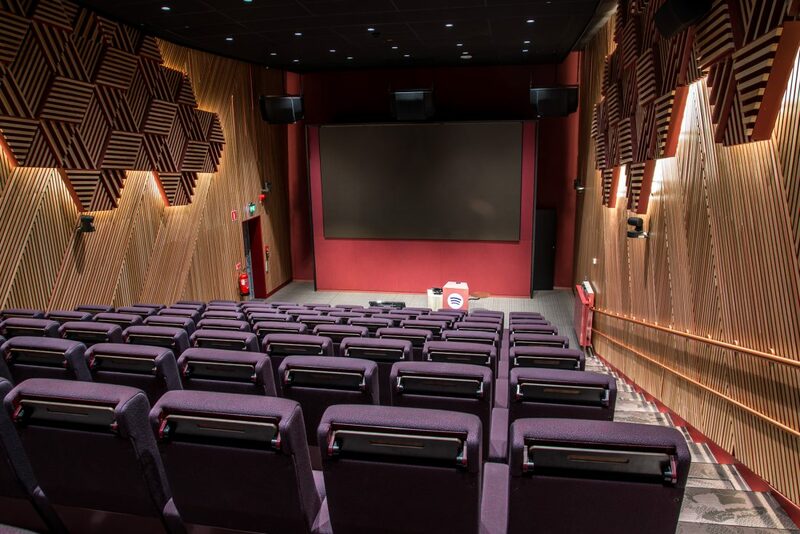 Bigger presentations and workshops are held in the spacious yet intimate theater room. Incorporating organic elements like textured wood walls, it’s a great place to gather a lot of Spotifiers together in a more relaxed setting. 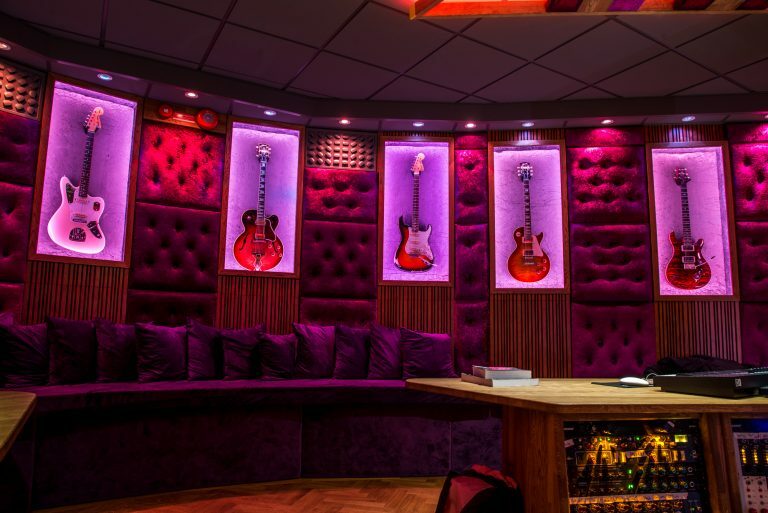 The room also plays host to entertainment events like listening parties for artists and late night movie sessions. 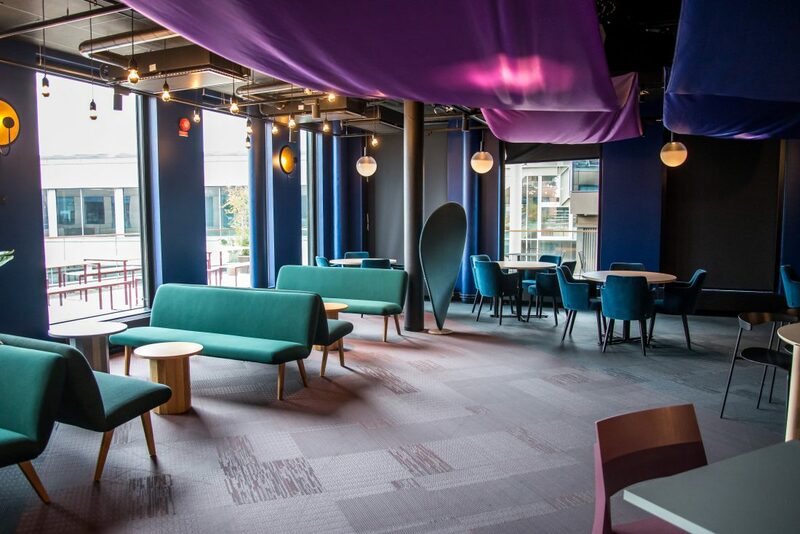 In the bold and bright cafeteria, Spotifiers eat lunch together, attend informal meetings, and take the occasional fika against a rich palette of teal and purple. 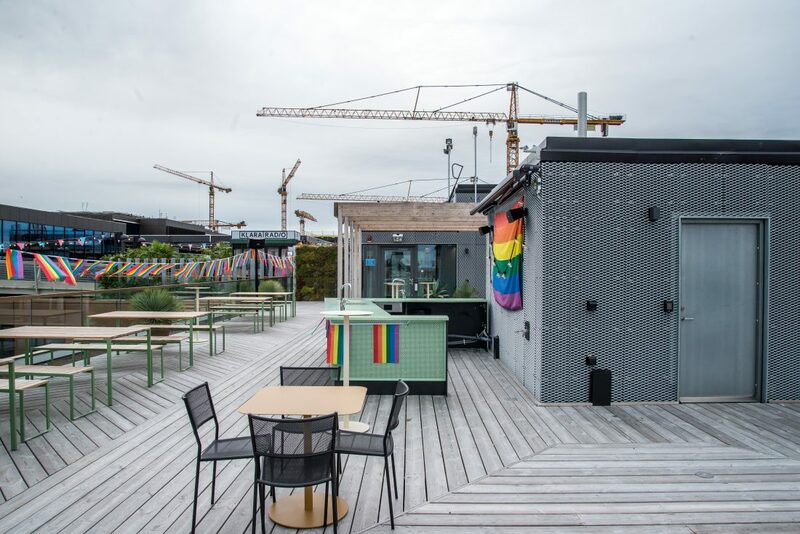 When the weather is warm, they can head outside—our office rooftop offers sweeping views of Stockholm landmarks like the Royal Castle, Rosenbad (House of Parliament), Rådhuset (City Hall), Slussen, Gröna Lund (amusement park), the green trees of Djurgården, and the Lilla Värtan strait that floats through the city. 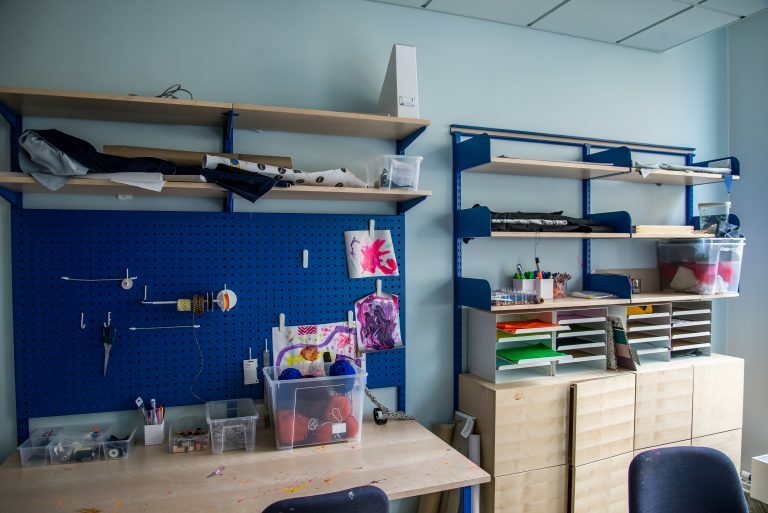 Craft lovers can spark creative inspiration in the craft room, which is well stocked with supplies for needlework and other projects. Unsurprisingly, it’s also popular with kids who visit the office. Or, for those craving some good natured competition between friends, there’s ping-pong, shuffleboard, and board games. 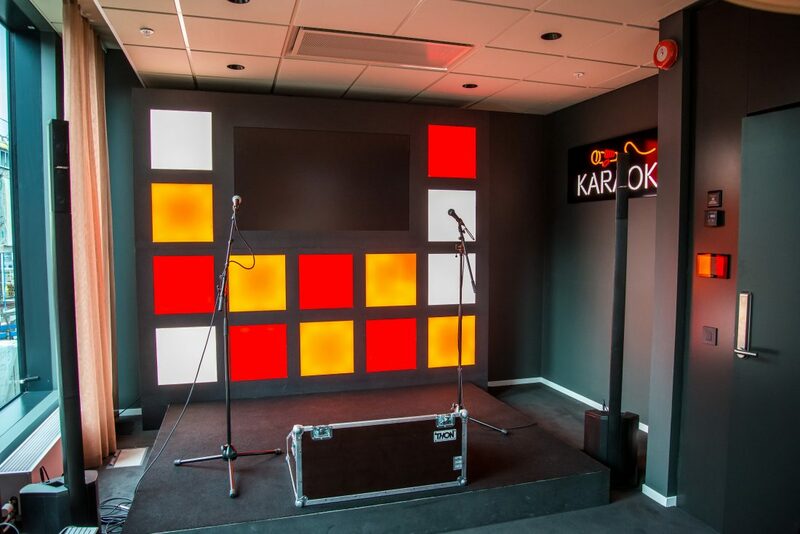 Karaoke is another popular activity among Spotifiers. In fact, tradition mandates that every new Spotify employee has a turn on the mic. 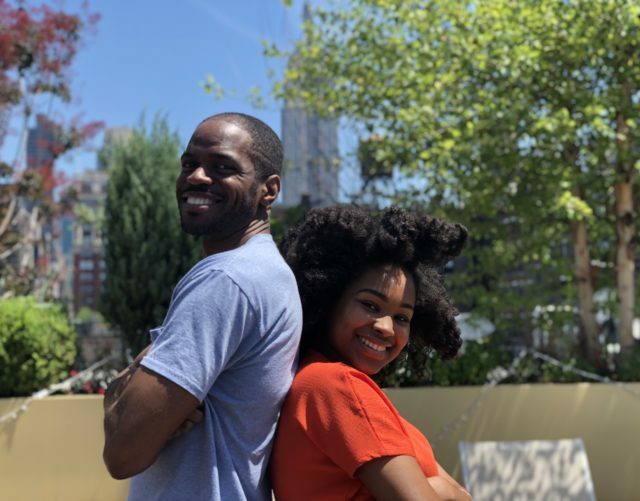 Recently, during our latest Equalizer Producer Camp, artists and camp participants let loose with karaoke on breaks from the studio. Speaking of our studio—it’s welcomed artists like Hov1, Lemaitre, First Aid Kit, Lykke Li, Scarlet Pleasure, Seinabo Sey, and Molly Sandén, just to name a few. 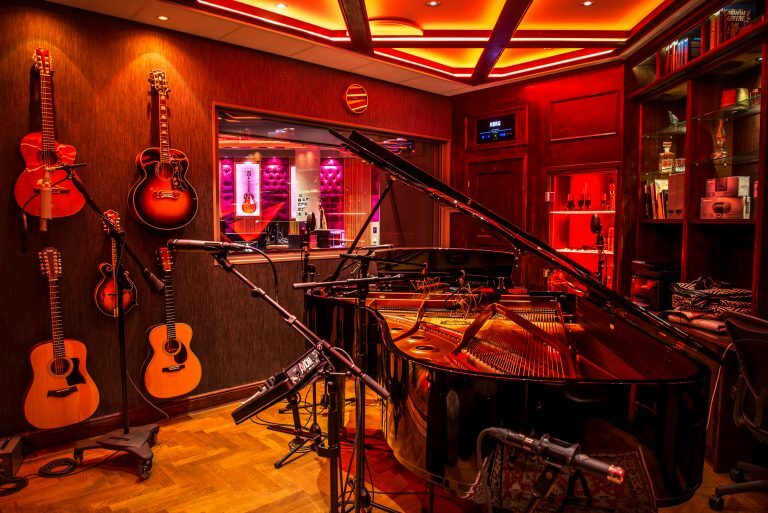 From podcast production to Spotify Singles, the state of the art space can do it all, and has instruments (drum kit, grand pianos, guitars, basses, and more) and equipment to suit every style, mood, and genre. 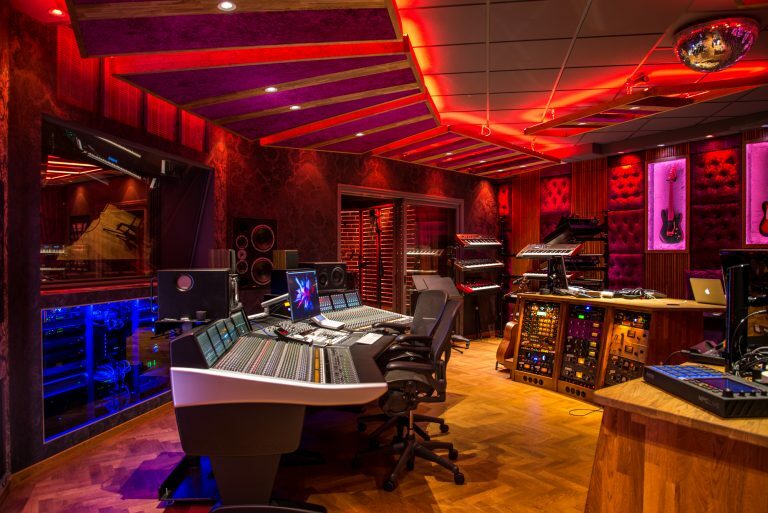 Who wouldn’t want to spend time crafting a hit under the neon lights? 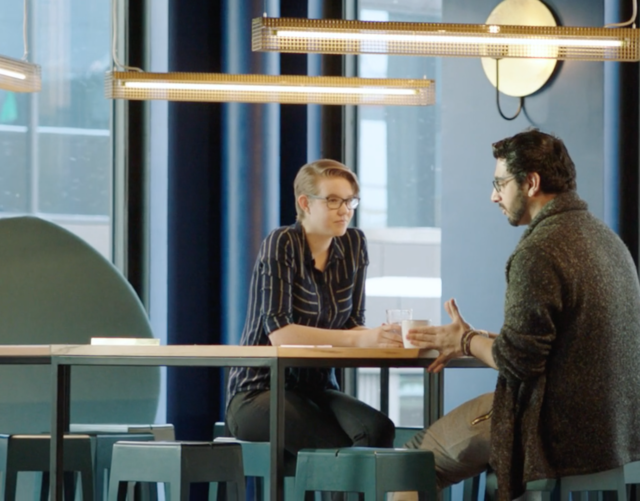 But whether you’re an international artist or just kidding around at karaoke, Spotify’s office is a natural place to come together and collaborate.